Hi guys, it's been an up and down kinda week. You could say, we're back on that roller-coaster ride again! The safe range is between 10 and 20 and Coo's latest results? 24! - Ok, choices, do we reduce the doses again or do we stick, sit it out and see what happens? We're not quite sure yet, Coo's seizures are no worse, he's stuck at around 10 a day but then again, it's been A lot worse and we coped. Only thing is, he's really sleepy but he's coping and usually any changes just set it all off again! I think we'll see how things are overnight and regroup in the morning! I love it, it's just so very soothing to lose yourself in the music for a wee while, I guess, it takes me somewhere else and on a difficult day, that can be a real good thing! Don't worry I don't really dress like this while harping - well not often anyways! 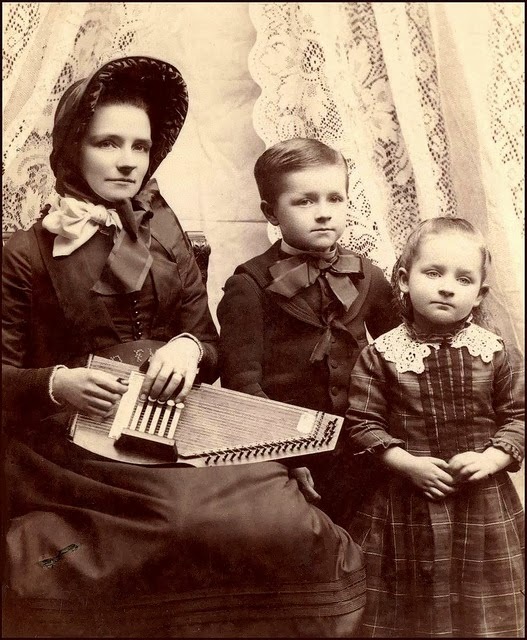 lol but this photo just goes to show that harping has been around for the longest time! Whatever your passion is, be it music, crafts or cooking, give it a bash! I say, anything that helps you cope and stay healthy, hale and hearty and doesn't hurt anyone...is ok in my book!